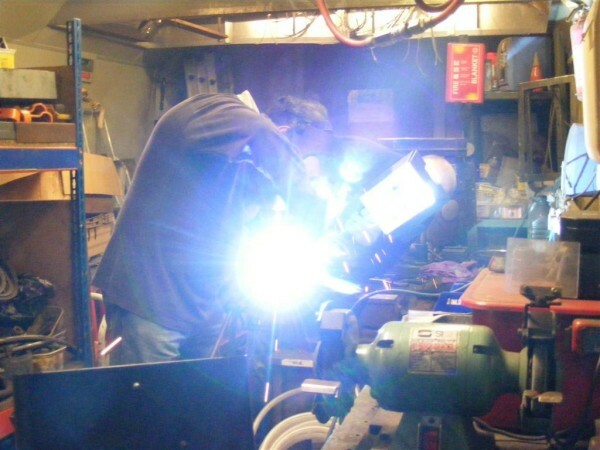 On the morning of the 3rd as Dave had a medical at dinner time it was decided that Jim would do some welding instruction. 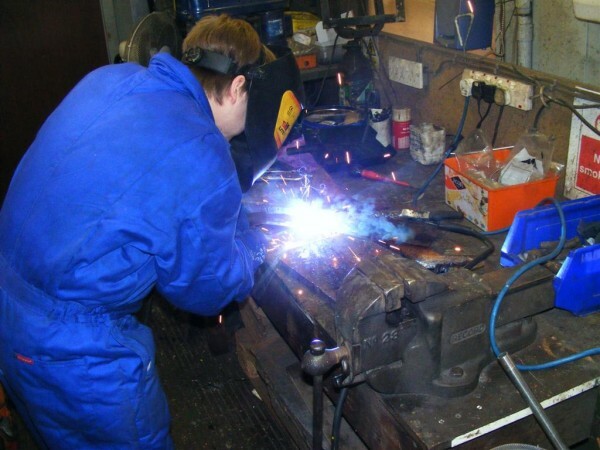 Kris and Jim went off to find some suitable pieces of scrap steel to weld together from behind the steam shed. However during their search they decided to inspect the CoBo bogies as it appeared somebody had pulled back the tarps and hadn't tied them back. A large quantity of trapped water was baled out and after checking that everything was present and correct the tarps were tied back in place. After then finding some steel they headed back to the coach and cleaned the steel up ready for welding. Dave was up first and quite quickly picked up the gist of what he was supposed to be doing, his welds improving as he practiced. Kris had a go and showed he got the knack very quickly. He'll make a good welder with a bit more practice. Skills have been learned! Towards the end Rob showed up and had a go and straight off welded better than I ever have in 20 years! A total natural. In the afternoon we celebrated D9531's return to working order!